How alcohol affects you and what steps you can take to cut down. This week is Alcohol Awareness Week. Designed to help people understand safe limits, the awareness week often highlights worrying statistics. This year we were keen to see how alcohol affects women and men differently. For example, did you know that men tend to have higher rates of alcohol-related hospitalisations? Or that regular drinking increases risk of breast cancer? Take a look at our infographic for more statistics. 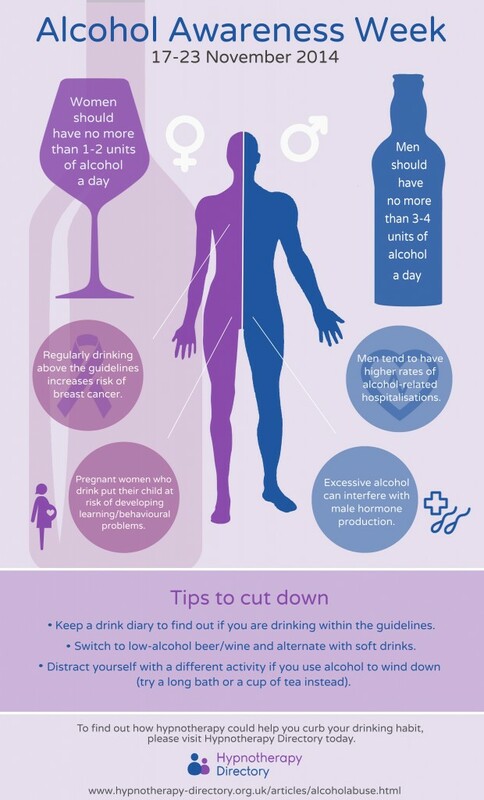 The awareness week also looks to help people reduce their alcohol intake with tips on cutting down. Something as simple as keeping a drink diary can really help you become more aware of your habit and where you can look to cut back. If the idea of reducing your alcohol intake worries you, you may benefit from professional help. For some people, it is overcoming the habit that is the hardest part. Hypnotherapy can be incredibly helpful in situations like this. 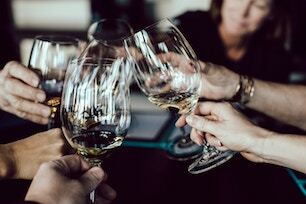 Looking to change the thought patterns that lead to you craving alcohol, many people find hypnotherapy a useful tool when cutting down drinking. To help raise awareness and encourage people to seek help if they are struggling, we have created an Alcohol Awareness Week infographic. Spread the word by sharing it on Facebook and Twitter, and let us know your tips for cutting down on alcohol.